In news that offers hope that human civilization won’t end up drowning in soda bottles and plastic wrap, Chinese chemists have developed a remarkably efficient method for converting polyethylene into liquid fuel. If it proves scaleable, it could make a real dent in global plastic pollution. 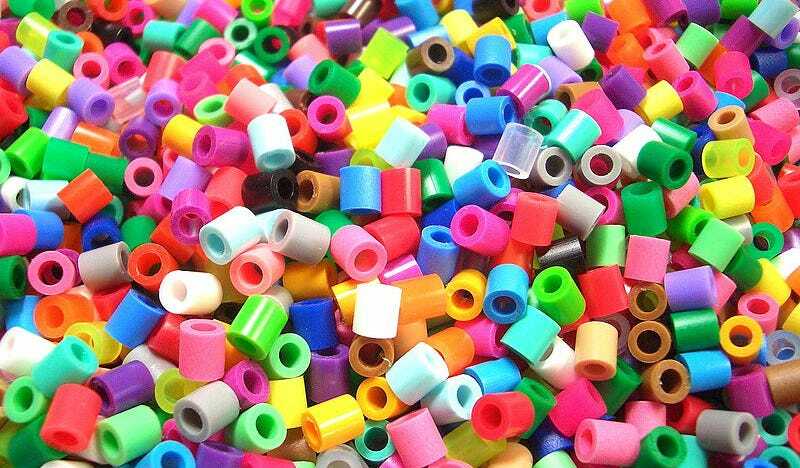 Polyethylene is the most common plastic on Earth. Worldwide, our factories churn out some 100 million tons of the stuff each year. Composed of carbon and hydrogen atoms linked together in long chains, polyethylene is a remarkably inert substance, meaning it doesn’t react with much of anything, and therefore doesn’t degrade in the environment. People have spent decades trying to figure out a better method for disposing of polyethylene, to replace our current approach of just letting it tumble into the ocean. You can stick plastic in a furnace and burn it at high temperatures, but that process is energy intensive, polluting, and results in a slew of nasty byproducts that are often just as hard to degrade as polyethylene itself. The recent discovery of plastic-munching microbes has ignited hopes that we might be able to degrade polyethylene naturally, but so far, biological degradation has proven difficult to scale up. Zheng Huang, an organic chemist at the Chinese Academy of Sciences, has spent the last four years developing a different approach. Writing today in Science Advances, Huang and his colleagues describe their method for degrading polyethylene at temperatures as low as 150 degrees Celsius, by adding an organometallic catalyst—a small, commercially available organic molecule doped with the metal iridium—to the reaction. The catalyst weakens bonds responsible for polyethylene’s stiff structure, accelerating its breakdown into a liquid product. “Our products are much cleaner than those obtained by conventional [combustion] methods,” Huang told Gizmodo, adding that his method is also easier to control and can be used as a diesel fuel. It’s been proven on small samples of plastic bags, bottles, and food packaging. Huang’s team is also looking into replacing iridium—a rare and precious metal in the platinum family—with a cheaper alternative, although this may prove more difficult, given the highly specific nature of metal catalysts. I hope so, too. A vehicle that runs on 100 percent recycled LEGO bricks sounds rad. The alternative — a future where the oceans contain more plastic than fish — sounds bleak as hell.